Blog Quick Quotes: Petaloo Blog Hop - Day 1! Petaloo Blog Hop - Day 1! Greetings and wishing a happy Monday to you! Welcome to the Quick Quotes and Petaloo Blog Hop! It's a leftover box from a gift we received during the holidays last year. I inked all of the corners edges of the box using Midnight Confessions PowderPuff Chalk Ink to prepare the surface for the transformation. To begin, I trimmed my pieces to fit for covering all of the sides, then inked the papers with Midnight Confessions PowderPuff Chalk Ink. I'm a big fan of inking my paper edges to give them dimension. The scalloped border you see is a die cut piece from a previous Club Q Kit. It fit perfectly, so I inked the edges with Antique Linen PowderPuff Chalk Ink, then attached. The bottom edges are folded over so I can still lift the cover off of the box. Next, I added the Petaloo Burlap Trim in Cream next to the strip as a nice transition. I stapled the trim on the bottom edges of the box. The next piece that I added was a small white doily that I altered using the Antique Linen PowderPuff Chalk Ink. It slipped right under my trim and created the perfect embellishment block. The little pearls were woven in and out of the trim and tacked down under the trim with glue. Now I added the Petaloo Darjeeling Mini Mix x8 flowers in Cream, the Darjeeling Petites x24 in Cream which are all accented by the Darjeeling Foliage Assortment x 15 to accent the blooms. 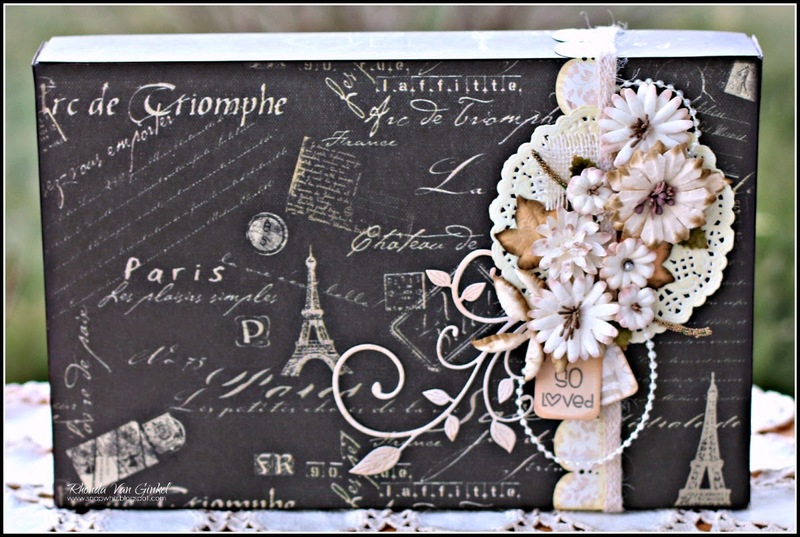 I completed the design by adding a sweet flourish that I tucked under the doily and a few little tags that I stamped the "So Loved" sentiment on using Midnight Confessions PowderPuff Chalk Ink. Thank you so much for stopping on over today! Now be sure to hop on over to our very talented friends at Petaloo to see the amazing inspiration they have for you today! great project Rhonda! I love it! I love, love, love redecorating old boxes! You have done a beautiful job Rhonda! The paper and the flowers go so well together. So lovely and elegant, any mother would love to receive this as a gift! This box is truly transformed into a master piece! Another beautiful project, Rhonda! Long term admirer of your work! Great team-up ~ QQ and Petaloo! A useless box because a piece of beauty - thanks to Connie bringing it back to life. Beautifully done. 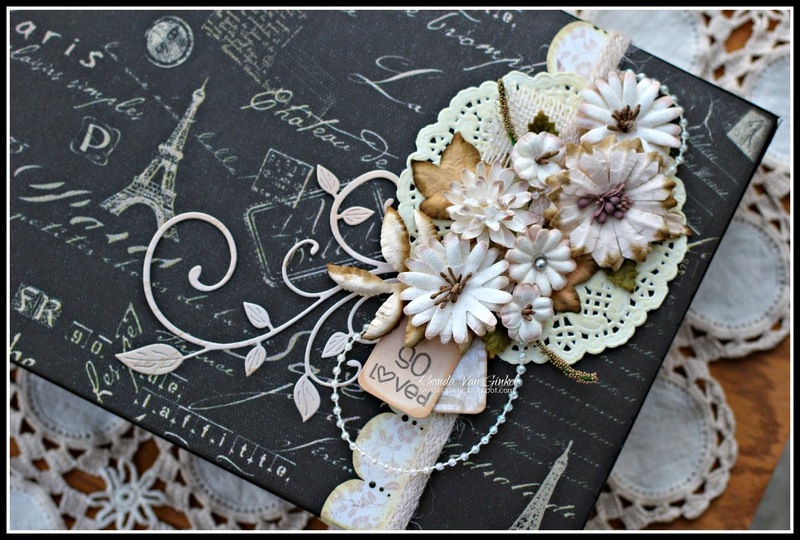 Love the details in decorating the box as well as the beautiful floral bouquet. great job. Just beautiful! And I just happen to have one of those boxes around the house! I always like it when I see someone reuse an item that most people would throw away. 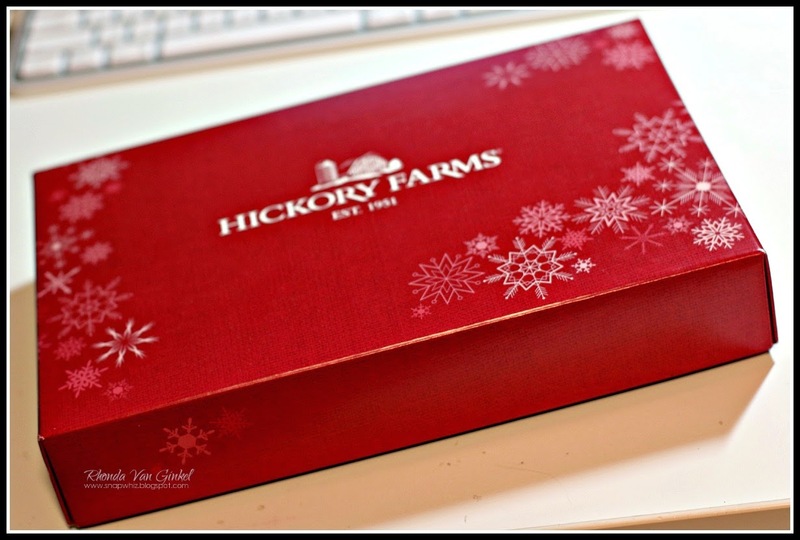 Kudos to you for creating this lovely gift box. I love it! Thanks for sharing. Beautiful box! I have several boxes that I have kept ... hope I can do half as good a job as you did. 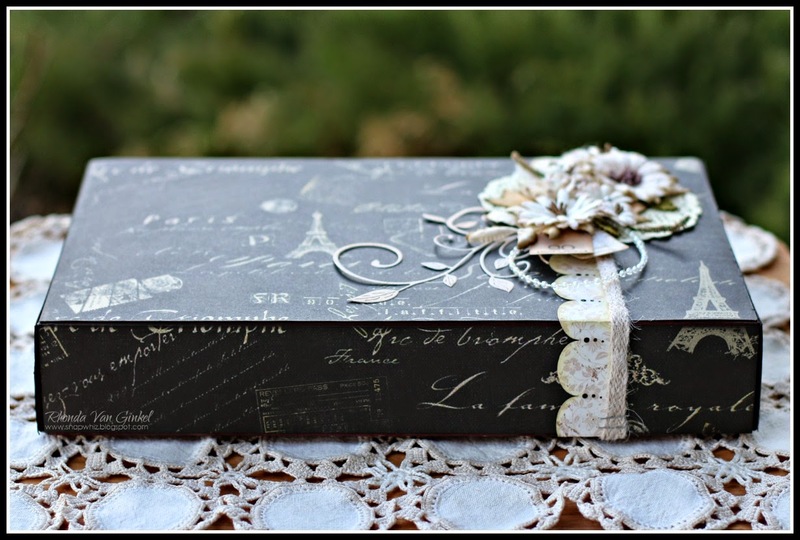 Gorgeous upcycled gift box! I love it! Great use of papers, flowers, and inks! Love all the Quick Quotes and Petaloo products used! What a nice gift this would make. Wow, I didn't know you had all this stuff! Thanks for the great blog hop and the chance to win some of these fantastic products! OMG, what a fabulous collection! Would sure love to win this. Such a beautiful combination! Gorgeous project, I am a huge fan of burlp. Beautiful work Rhonda!! Can't believe is started as a plain, old box. A beautifully creative use of a box. It would be a special gift to someone or used as a keepsake box. Beautiful new box - love the flower arrangement on there! Wow....beautiful!!! This looks so elegant! Love altering stuf that you would otherwise trow away! it turned out beautiful!